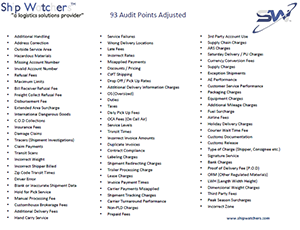 We don't just focus on service failures or spot check invoices for errors. 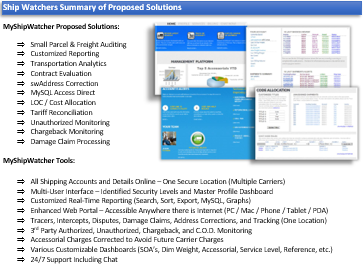 Ship Watchers puts each tracking number and carrier invoice through over 93 audit points insuring complete accuracy in billing. 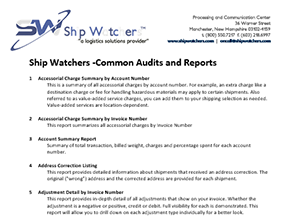 Ship Watchers provides a myriad of reporting, including customized and auto-populated reports. Various dashboards offer an intuitive graphical interface into your shipping data with date frame, search, sort, and export capabilities. 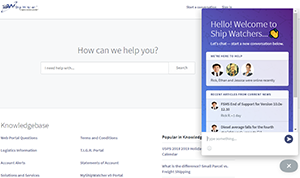 Provides a quick summary of the solutions and services offered by Ship Watchers. We pride ourselves on the ability to customize and tailor solutions and services around our clients individual logistics needs. Includes a Summary of Solutuions, Value Proposition, Capabilities, Experience, and our Competitive Advantage along with Closing Statements. 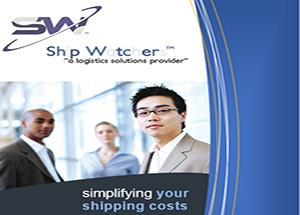 See how Ship Watchers stacks up on solutions and services compared to other vendors in the industry. 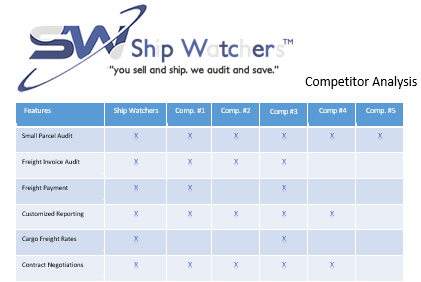 This analysis shows capabilities offered by Ship Watchers vs. five (5) similar vendors. This section will be updated regularly with current events pertaining to Ship Watchers, Industry News, or Carrier Changes that could affect your bottom line such as Rate Increases & Accessorial Changes.